I love any excuse to bake cookies and the holidays are the perfect excuse. I’m trying not to go overboard this year. Rugelach and ginger cookies are already sitting in my freezer. So I decided to bake a rich chocolate cookie. In the past I’ve made a wonderful rich chocolate chip cookie that is labor intensive and kind of messy. I’m really not up to all that work so I came up with a simpler version with all of the richness. I’ve also decided to change it a little by adding white chocolate chips. For the chocolate I used Ghirardelli brand. This recipe took no time at all to put together. And the hour the dough sat in the refrigerator gave me time to work on other tasks. The most difficult part of this recipe is not eating the raw dough which is delicious! Stir together flour and baking powder; stir into chocolate mixture. 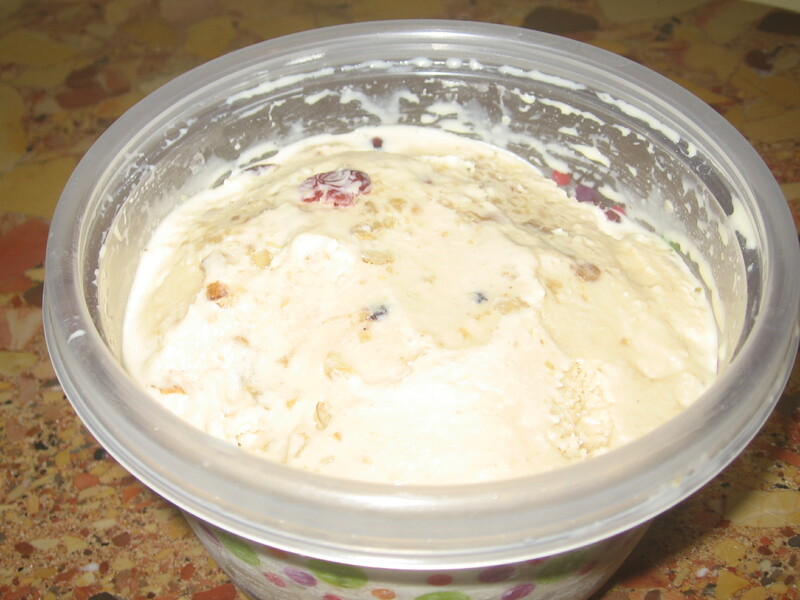 Mix in white chocolate chips and walnuts. Those of you who follow my Facebook page know that I have been in search of candied ginger. nearly as easy to find as I thought. Plenty of candied fruit for those awful fruitcakes but no ginger. It’s ridiculous, but it got me thinking. Since I’m a true lover of fresh ginger, there’s no reason to purchase a processed candied version to make some good cookies. 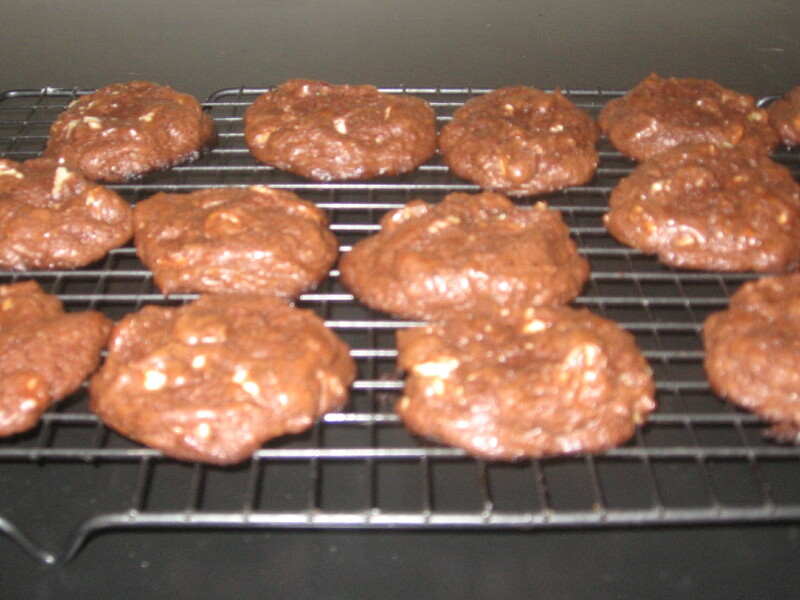 I’m flexible so I searched for a good fresh ginger cookie recipe and then tweaked it to my ownl taste. As for ginger tea, it’s the simplest thing to make. Boil up some water, add a 1/2 inch slice of fresh ginger and some honey or agave nectar. It’s so easy and delicious, and your house smells lovely! I try to drink this tea often because of ginger’s health benefits. I use it for its anti-inflammatory proponents but it’s also great for gastrointestinal issues and protects against certain cancers. I actually have a Zingiber Zerumbet plant also known as Shampoo Ginger growing in my backyard. It’s pretty much a long stalk with large leaves growing out of each side. The picture seen is not of my own since our last cold front hurt it and it’s not too pretty. I’ll be bringing it inside today before the next cold spell which is due in a couple of days. As it get’s larger it’s supposed to grow cones that produce a milky liquid that is used in some regions as a shampoo. The liquid itself is also known for its health benefits. 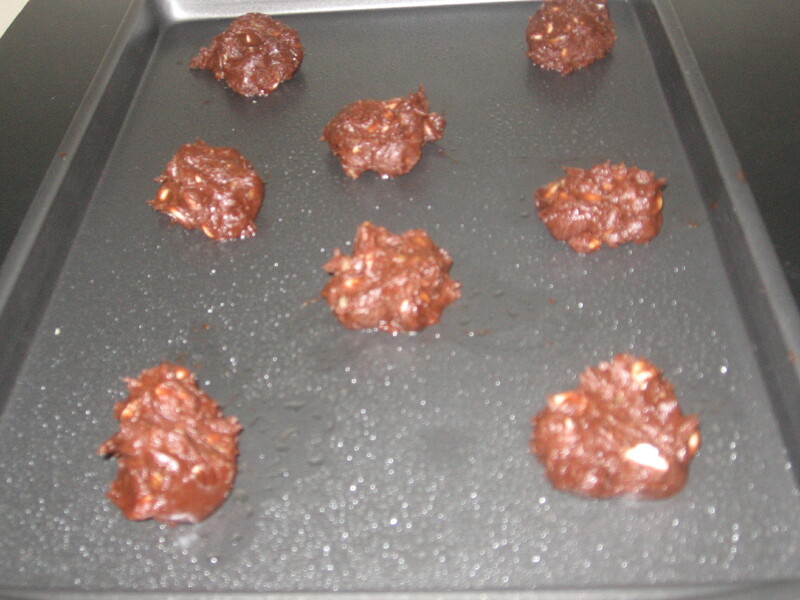 On to my cookies, they are a little time-consuming because they have to be refrigerated for an hour before baking. However, it is a simple recipe which can be adjusted for personal tastes. Personally, I don’t care for spices such as cloves or powered nutmeg so I kept this a basic ginger cookie. Feel free to add more spice if desired. Beat ginger, butter, vanilla and 1 cup sugar until light and fluffy. Beat in honey/agave and egg mix well. Rugelach is one of my all time favorite cookies. They are like tiny rolled crescents filled with a raisin & nut mixture. Today they are easily bought in any bakery aisle but don’t let the store-bought varieties fool you. 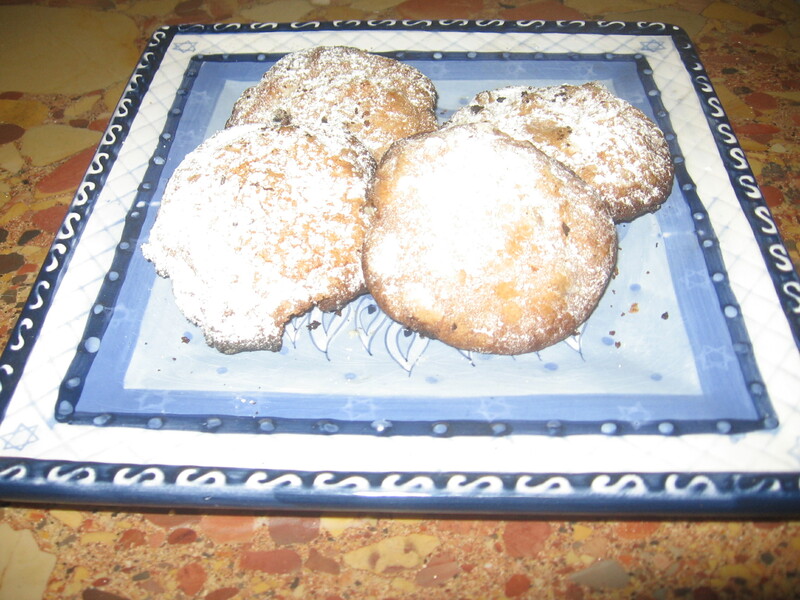 They lack the rich flaky dough as well as the sweet and savory filling that make them so addictive. I don’t make rugelach very often because it’s a bit time-consuming. Years ago I started to double the recipe because it’s easier to make more than make it more often. Rugelach רוגעלך is a Yiddish word which is interpreted as “little twists” which refers to the shape of the cookie. There are many different recipes, some with no dairy products, some with a sour cream dough and others with a cream cheese dough. I prefer the latter, the combination of cream cheese, butter and flour make a delicate cookie with appropriate flavors to compliment the filling. Fillings can vary as well. Ultimately, you can roll pretty much anything that will fit in this. 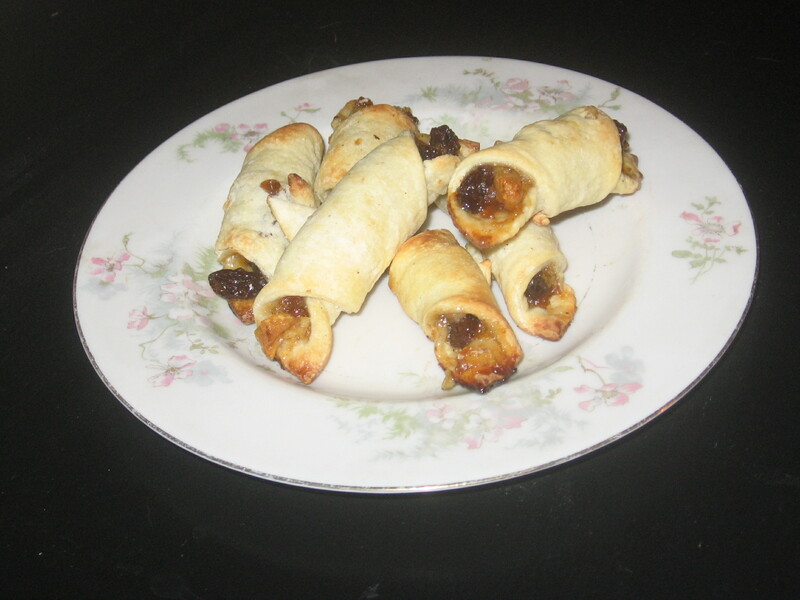 I tend to make smallish Rugelach, they bake evenly and are easier to work with. Most often I make them for Jewish holidays. They freeze well and actually taste great frozen. I made a large batch to split over Thanksgiving and Hanukkah but forgot to serve them last Thursday. It’s ok this way there’s more for me! The recipe also works best if you make the dough, split it into balls and refrigerate for a short while. I find the dough rolls easily then. My Rugelach do not come out evenly sized and shaped but it doesn’t matter. They should be similar enough in size to bake evenly. Once I roll them out I use a pizza cutter to make the circles and then cut them into triangle pieces like a pizza. I doubt this is the way my great-grandmother did it but it works for me. This part is truly a rough guess, I’ve never measured it! The best thing about vegan baking is that you can eat raw batter to your hearts content! No worries about salmonella here. Another bonus with these particular cookies is that your house smells delicious. The cookies themselves are quite tasty too! This is a win-win situation in my opinion. I’m not sure if canned pumpkin is in the stores yet. I actually stocked up last year and have a couple of cans left. During the winter I like to use the cans to make Pumpkin Black Bean Soup which is another family favorite. It’s a rich hearty soup that takes no time to make and is a meal in itself. As for my cookies, well they simply taste like autumn. I gave into my chocolate addiction and added some chcolate chips with the cranberries. I omitted the nuts because my niece doesn’t care for them. However, this is another base recipe that you can change the spices and add-ins to your personal taste easily enough. I’m finally posting this recipe I baked last weekend. 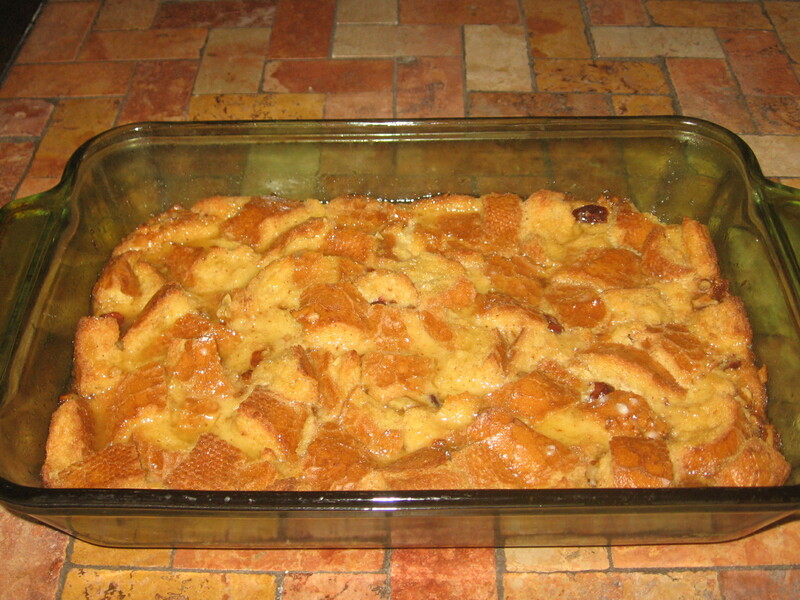 I’ve been enjoying this bread pudding all week. This recipe has a sweet (but not overly) taste. The texture of the bread, cranberries and crunch of nuts really works well together. 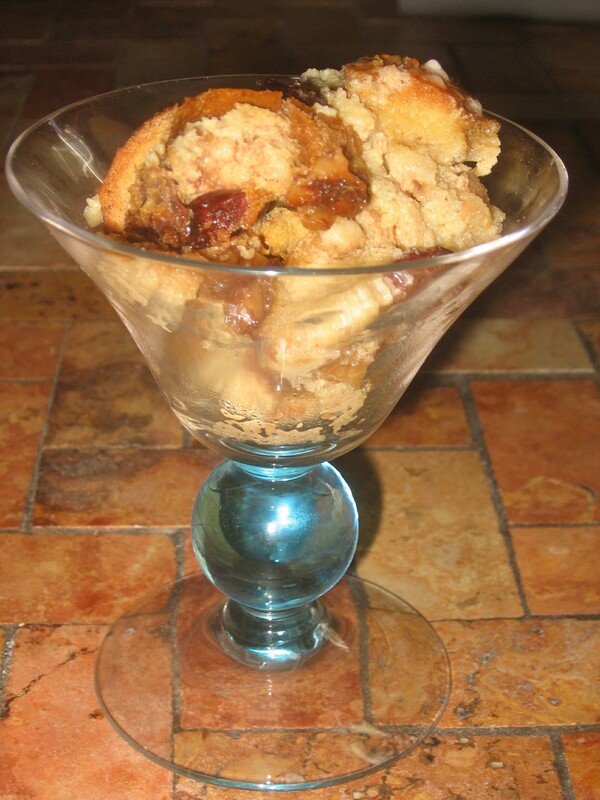 I’ve been enjoying this bread pudding for breakfast but really it would be great anytime. Serve it warm with some vanilla ice cream and I’m certain it will be a hit. The fact that you assemble it the day before and just stick it in the oven for an hour before serving makes it great for company. Oddly enough it reminds me of a mix between my mom’s stuffing recipe and her noodle pudding. Whatever you do with it, enjoy it! 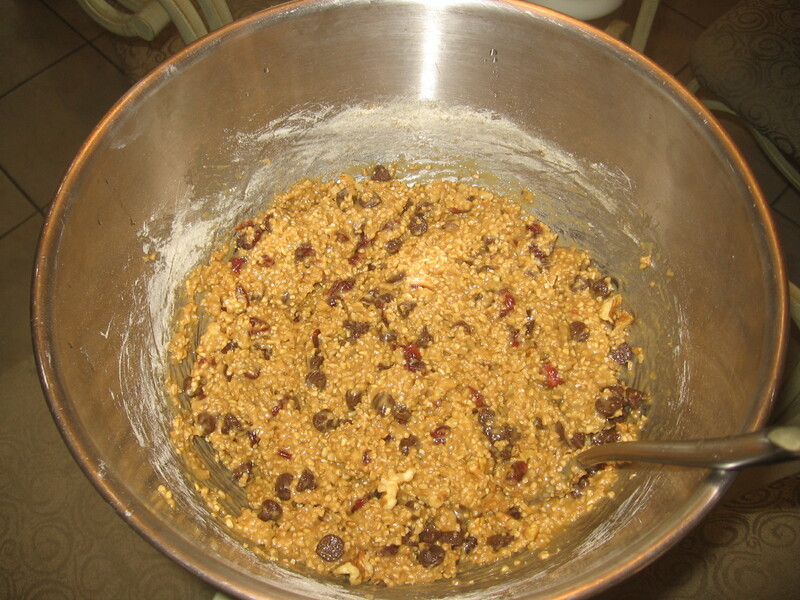 Place mixture in 8″ x 1 1/2″ baking dish, cover and place in the refrigerator overnight. In the morning, preheat oven to 350 degrees F. Remove cover and place on center rack. Bake for 50 to 60 minutes until knife inserted near center comes out clean. Did you ever make a recipe that you knew would be delicious well before it was completed? For me, this is that type of recipe. Once I whisked together all the ingredients, I took a quick taste and it was so rich, creamy, and sweet that I knew it would be a hit. Add to this the spicy flavor of chai tea with chopped walnuts, vanilla and cranberries, all I can say is YUM! I watched the first episode of Aarti’s Party on Food Network and I really like her even if she isn’t veg. On her first episode she made Creamy Pistachio Pops which looked really good. So I stole the recipe but made some changes to it. The original recipe is listed below. First of all, I have no trays to make popsicles so this went right into a large bowl. Second, this recipe is so easy and no ice cream maker is needed. This doesn’t quite fit into my new light and healthy venue but it is homemade and has so few ingredients and no added sugar, so how bad can it be? Ok, so heavy cream isn’t quite light but it’s a treat and will be eaten in moderation. I love anything chai. I made this recipe using decaf chai teabags because I haven’t had caffeine in about 5 years now. For those of you who are addicted and would like to get over caffeine, it takes about 3 days. The first day I had a massive headache, the second day was less, the third was even less of a headache and after that I was fine. Overall, I reduced headaches by about 90% just by kicking the habit! I’m not sure why but the original recipe has you opening the teabags into the hot milk and then straining it out. That’s too much work for me and I really can’t figure out why you’d go to the bother. I just put the teabags right into the milk, heated and then drained the liquid from the teabags. Much easier. I actually started out planning to make a good cereal recipe this morning. And then I decided it’s a little cooler than typical so why not bake some cookies. Steel cut oats are groats which have been cut into two or three pieces. Where rolled oats are made by flattening pre-cut groats. Opinions seem to differ on which is healthier, I personally like the idea of eating something reasonably close to its natural form. My son has been visiting friends in SC for about a week now and is supposedly coming home either today or tomorrow. He much prefers home-baked cookies to store-bought so I’m sure he’ll appreciate these. The cookies will be on the counter for a day or two and they’ll I’ll put them in the freezer. We enjoy our cookies but there’s too many for 3 people so freezing them works well. I used to just take a couple out at a time and let them defrost. However, we’ve all pretty much decided that we like eating them frozen. Just be careful and take small bites of frozen cookies! I was actually a little leery of trying these cookies. I really wasn’t too sure how the texture would come out. I’ve seen some thoughts on pre soaking the oats or just tossing them in the batter. I actually mixed them with the wet ingredients and let sit for about 10 minutes. I have no clue if that did anything for the consistency or not. Instead of using animal fats I used vegan margarine, canola oil and a ripe banana. 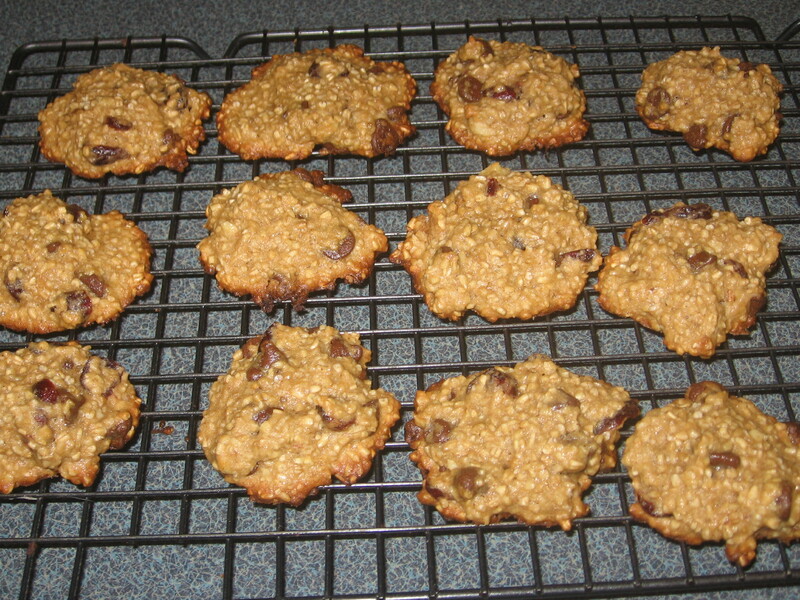 It seemed to work well and these cookies are not at all crumbly like some vegan or low-fat cookies are.